As soon as Abi Crouch found out her baby had passed away at the end of an otherwise perfectly healthy 41-week pregnancy, she plummeted into the darkest depths of grief. Her son, Cobin, it was later determined, had died as a result of an umbilical cord accident up to 10 hours before Abi went into labour. After arriving at her home for the birth, Abi’s midwife was unable to detect a heartbeat. They went straight to hospital, where their worst fears were confirmed. A day after Abi returned from hospital – having endured a heartbreaking labour to deliver her son – her midwife, Rachel Fox-Tierney, came over for a follow-up visit. She thought a lot about the heart and how much it was helping her family. As she worked through her grief, she thought about how she could help other families in a similar situation. 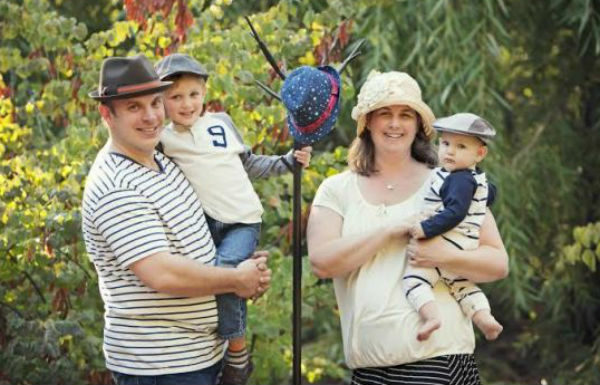 In July 2011, exactly six months after Corbin was stillborn, Abi and Dave launched a charity, A Heart to Hold, to help others touched by pregnancy and infant loss. 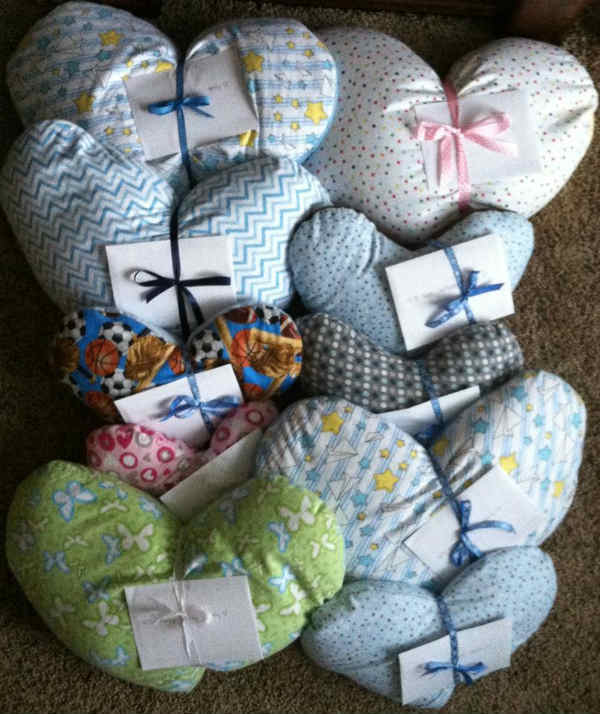 In the first three months, Abi made six to 10 weighted pillows in her living room. Her story was covered in a local paper and seen by a charity that takes photos for parents who have lost a baby. By October 2012, it had shipped 1000 hearts to eight countries. It now makes an average of 30 to 60 hearts a month. 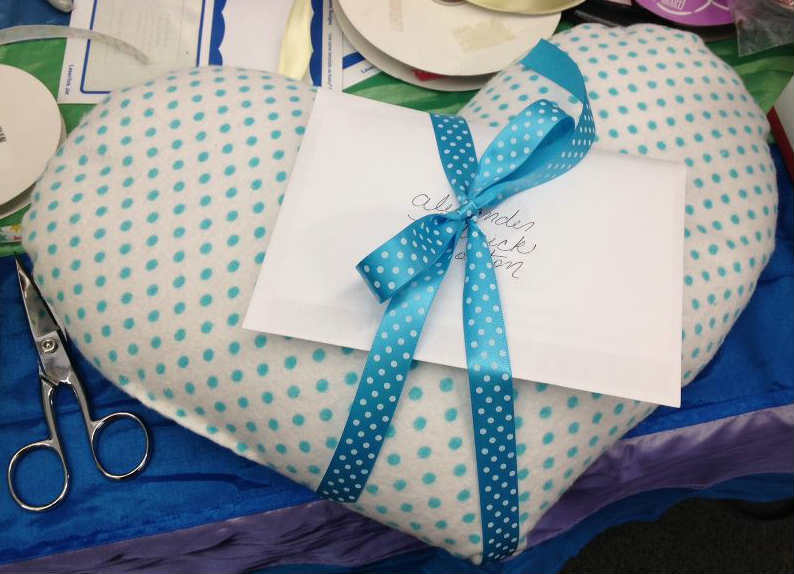 Funded solely by donations, volunteers attend workshops to sew hearts for families. 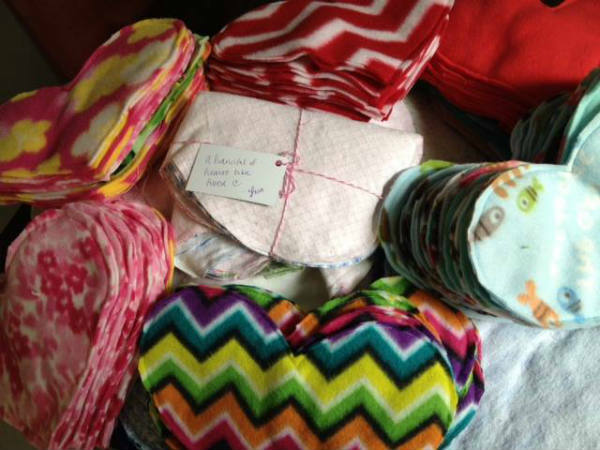 Abi also sends patterns to volunteers, who make the hearts and send them to her for stuffing. The hearts can weigh as little as 20g, for families who have miscarried at five weeks, and up to 7kg. To find out more or to donate, go to A Heart to Hold’s website or Facebook page.